I wouldn’t be adding anything new by reiterating what a beautiful and imaginative way to do a product demo ad this film truly was. Every client should remind themselves of the benefit of following their heart and feeling the power of a piece. I’m sure that research would have thrown up a whole box of optimisations, yet the team managed to safeguard the simplest of ideas and land a genuine piece of everyday magic, stopping consumers in their tracks, hypnotised by the whimsical sounds of José González and beautiful visuals created by Danish director Nicolai Fuglsig. Many a YouTube viral film has followed the same recipe – "Wouldn’t it be interesting if we…" – then observed the consequences. It’s a recipe that taps into our inner desire to play and be mischievous. 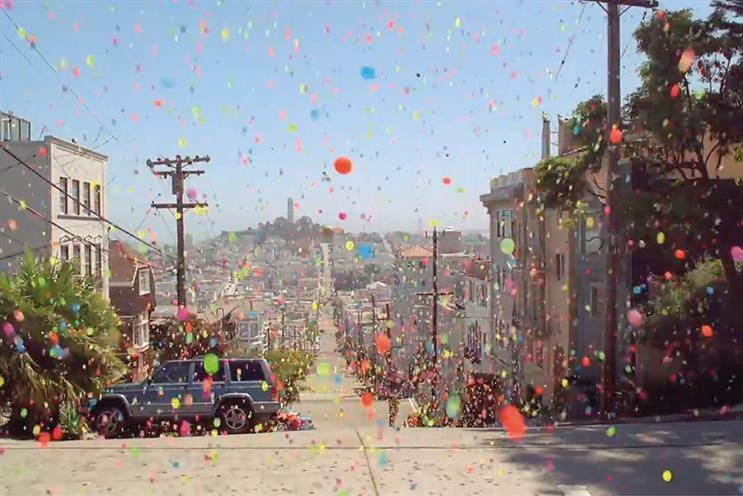 In this instance, 250,000 rubber balls thrown down a hillside: what a joy. Sony, the dominant tech brand of the 1980s, suddenly felt big and relevant once more.